So, I spent the weekend with around 850 women. Bless it. You can’t imagine all the chatter and giggling, the emotions and the tears. 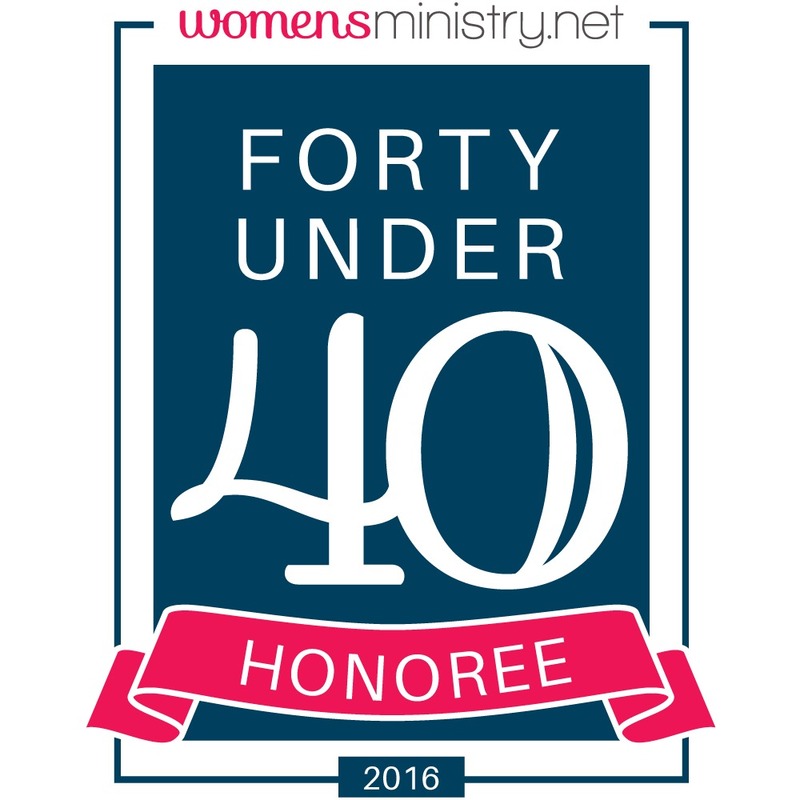 I spent the weekend at Lifeway’s National Women’s Ministry Leadership Forum. I’ve got to admit when I step back and consider (850 leaders, that are women, in the same building for 3 days) it sounds kind of awful. If I hadn’t been right in the slap dab middle of it, I’d say that’s too many cooks in the kitchen. But, can I tell you that it wasn’t even close to awful? It was so beautiful. I found myself humbled by the vastness of what God was accomplishing through these women with different backgrounds, different stories, different ages from all over the country coming together with one similar goal. A heart for God and a heart for women. I’d love to tell you that a Christian conference, like The Forum, is only beautiful. I’d love to say that we all held hands the whole time and solved the problems of the world. I’d love to tell you that 850 Christian women leaders can come together and it isn’t messy. But, I can’t. I can’t tell you that it was all beautiful and lovely because there were people at this conference. There were women suffering the consequences of bad choices, there were women fighting cancer and depression. There were women with a passion to lead women to Jesus that carry scars from criticism and abuse. And then there were women that were threatened by the influence and platform of other women. I know, because I was one of those women. I could scream and just about throw something, because I so desperately don’t want that to be true. I want to be the one that has my head on straight and rejoices because the Kingdom of God is growing. I know competition happens in the secular world. There is a need to compete with someone skilled in the same area as you. 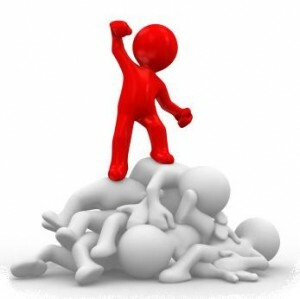 There is an expectation to pursue the top spot, to be lifted up among your peers. It happens at our kid’s soccer game, when one child plays more than another. Unfortunately, it also happens in the church. I shake my head when I face this ugly side of ministry. We’re on the same team. Yet, we buy into a lie that if someone else succeeds, we have failed. It’s ridiculous if you think about it. As far as the church goes, if one of us wins, we all win! We could analyze the root of the problem until we’re blue in the face. We could say that it is about insecurity regarding our identity in Christ, we could label it with jealousy or pride. I could even tell you the bigger problem has to do with a false definition of success. But all of those are wrapped up in one word–sin. The effects of sin have allowed us to pursue our own fame, our own success and our own power. We don’t readily admit those shortcomings. Yet, for Christians, in the secular workplace, our kids’ extra-curricular activities and even around other believers, we still struggle with a desire to fulfill our purpose over God’s. The question becomes then, how do we deal with this sin? We don’t want to wish failure or destruction on our colleagues, our kids’ friends, or our brothers and sisters in Christ. So, how did we get here? I believe it comes from a lack of discipline. We don’t intentionally allow God to regularly search our heart. [Tweet “In order to surrender, we must discipline ourselves to make room for the Holy Spirit.”] Instead of making room for God, we push harder. We fill our schedules, our closets, our bellies with anything to make us feel in control. Spiritual disciplines point to the reality that we are not in control. We desperately need God. By recognizing our need for God, we long more for His purpose than our own because we realize our’s has left us empty. Might I challenge you to start with the discipline of introspection? Asking God to search your heart, not just today, but every day, maybe every hour. Introspection can sometimes be ugly. It is with me. So, don’t allow yourself to forget grace. [Tweet “When God sees you, He looks at you with the greatest affection.”] But let God, point out the areas He longs to change in you. Giveaway: Over the next few weeks, I plan on taking a look at some different spiritual disciplines. What would you like to know about spiritual disciplines? Are there any disciplines in particular you would like for me to address? Leave a comment with your answer and any thoughts about today’s post and you’ll be entered in a giveaway for Angela Thomas’ book 52 Things Kids Need From a Mom: What Mothers Can Do to Make a Lifelong Difference. (Even if you aren’t a mom, you can share this book with a mom you love.) Contest will end at midnight (CST) on Tuesday, November 26. 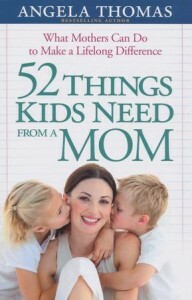 Congratulations to Cassie McClurg for winning the 52 Things Kids Need From a Mom book! BobiAnn – This is such beautifully painful truth. Thank you for your honesty. Through many conversations with fellow staff members and some of my Kids Min parents recently, I keep coming back to the question of why? Why do we do what we do in the manner we do it? As hard as it is to admit, often as church leadership we tend to compare ourselves to others. We begin operating out of envy and pride instead of grace and redemption. We say we want to see transformation, but do we only want someone to change so they become what we want them to be, so we’ll be happier? Or do we truly way transformation because we’ve seen the beauty of grace firsthand and transformation is the overflow of our love to and from Jesus? (I’m not sure I even answered the question, haha.) Anyhow, thanks for your heart, your love. I recognize that this truth is in every arena of ministry I’ve ever been part of. In some ways it pushes us to be better but in others it just pushes us to focus on ourselves instead of Jesus. I love what Jen Hatmaker says in the book Interrupted, “I hate the top. I hate who I have to be to live there. I hate the biblical two-step I have to perform to justify top-dwelling. I hate the posturing up there. I can’t stand the fear of heights, since falling is a constant danger. I can’t bear how far it is from the Spirit who said He was “close to the brokenhearted” (Psalm 34:18) and “the highborn are but a lie” (Psalm 62:9)”. It’s easy to hide behind a spiritual facade. I don’t want to hide…I want to have victory over this silly sin. Thanks for being so honest. I have found over the past few years, when we think abundantly about ministry, instead of selfishly,God does BIG things. Cooperation, not competition, causes things to grow instead of shrivel! So glad God connected us! Shelly, it isn’t easy to be so honest. My flesh wants to hide. However, I refuse to be bound by this ridiculous sin. I want to bring it out. I also want to bring it out for others. I want to tear down the walls. I want to partner instead of patronize. Honestly, it’s letting someone like you in, that makes me afraid. 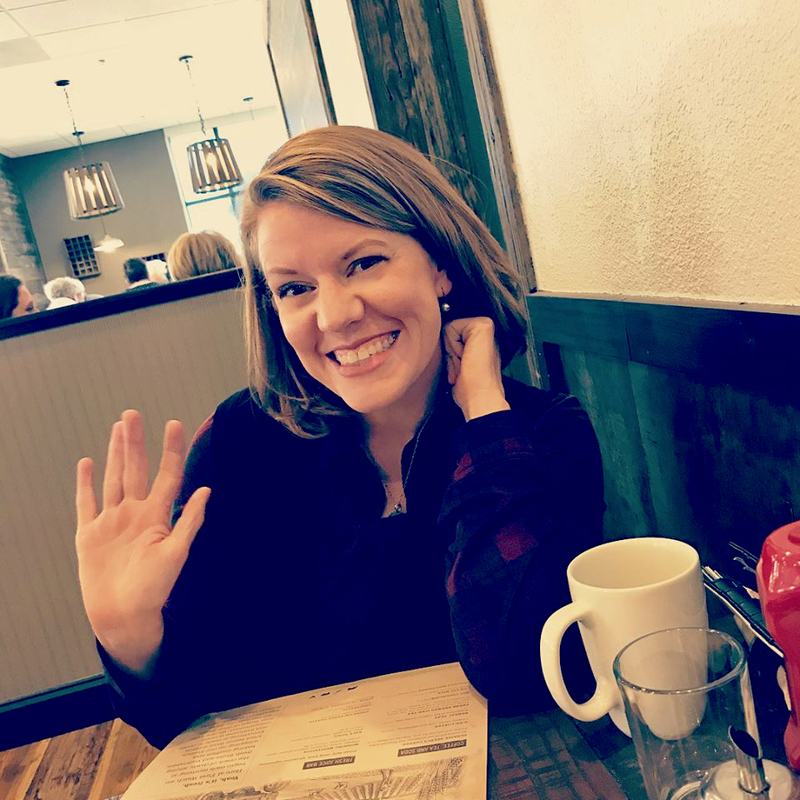 What if I lose the privilege to continue to minister alongside women that God is using because you see that my heart is still in the process of sanctification? But, I have to trust God to use the truth He wants revealed. Thanks for your support. I’m honored to serve alongside you.